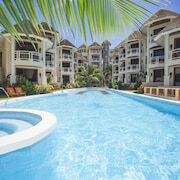 Nestled on the beach, this Boracay Island resort is within a 15-minute walk of White Beach and D'Mall Boracay. Caticlan Jetty Port is 2.8 mi (4.4 km) away. Nestled on the beach, this Boracay Island hotel is within 1 mi (2 km) of Punta Bunga Beach and Puka Beach. D'Mall Boracay is 2.6 mi (4.1 km) away. Nestled on the beach, this Boracay Island resort is within a 10-minute walk of White Beach and D'Mall Boracay. Puka Beach is 2.9 mi (4.6 km) away. The only negative side of staying in the hotel is that there are only few shuttle service when going to and from the hotel. I hope the management will have more shuttle service specially during peak season. Where to find Boracay Island hotels near an airport? Where can I find hotels in Boracay Island that are near tourist attractions? When planning your Aklan sojourn, rest assured, there's a quality assortment great accommodation options in Boracay Island. Our database shows no less than 55 places to lay your head within 6 miles (10 kilometers) of downtown Boracay Island. Like to book a convenient spot near the heart of town? The Ambassador In Paradise Resort and The District Boracay, are conveniently located 0.6 miles (1 kilometers) of the city center. 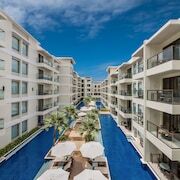 The Estacio Uno Lifestyle Resort and also the Boracay Uptown are both within strolling distance of the Boat Station 2, while the Shangri-La's Boracay Resort and Spa and Nandana Boracay are situated close to the D'mall Boracay. The Boat Station 1 and the Boat Station 3 are two more well-known Boracay Island destinations. The Monaco Suites De Boracay and the Pearl of the Pacific are conveniently close to the Boat Station 1. While the Paradise Garden Resort Hotel & Convention Center and the Fridays Boracay Resort, are near the Boat Station 3. The Red Coconut Beach Hotel and Crown Regency Beach Resort are nearest to Talipapa Market, and Rieseling Boracay Beach Resort and Boracay Regency Beach Resort & Spa are within a short stroll of Budget Mart. Golden Phoenix Hotel and Henann Garden Resort are close to Boracay Butterfly Garden. And, if you are interested in staying near Dead Forest, your closest accommodation options are The Tides Hotel Boracay and Crown Regency Resort & Convention Center. the Phaidon Beach Resort is 17 miles (27 kilometers) away from the heart of Boracay Island. The La Isla Bonita Resort and Spa is 0.2 miles (0.3 kilometers) distance away. Looking to travel a little further afield? Visayan Islands has many things to see. View Visayan Islands's beaches. In addition you could head to some of its traditional villages. 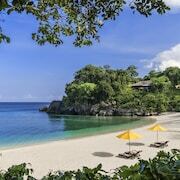 Popular things to do in this part of Philippines include shore fishing, beach combing and sunbathing. If you are planning on flying via Godofredo P. Ramos Airport, you may like to book a bed at Ambassador In Paradise Resort, or Estacio Uno Lifestyle Resort, both of which are close. What are the most popular Boracay Island hotels? 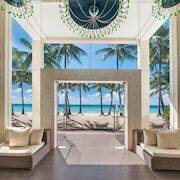 Are there hotels in other cities near Boracay Island? 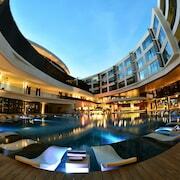 What other types of accommodations are available in Boracay Island? Explore Boracay Island with Expedia.ca’s Travel Guides to find the best flights, cars, holiday packages and more!